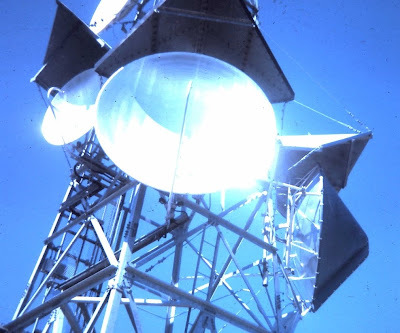 Microwave antennas on Mount Spokane in the late 1960s, or real early 1970s. From my collection of slides. I just got a slide scanner to turn slides into digital images. More childhood memories to come, but many of them might not be worth sharing. The camera I used, back then, was fairly blurry. I think most of the shots where from a Kodak Instamatic. Childhood trips as a passenger in my parents car and more.